The sensor provides chart plotters and instrumental displays with humidity and air temperature measurements and calculated dew point temperature. The device is plug and play; you only need to plug it into a NMEA 2000 backbone to get readings on all chart plotters and instruments on board. This product can be used for weather monitoring and fog prediction; mold prevention by monitoring of water intake or moisture condensation in lockers; and remote monitoring of living quarters. From the helm you can see how comfortable it is in the cabin. The Device is equipped with a high quality sensor that provides ±2 % RH and ±0.3 °C accuracy in most of the operating range. Operating range is 0..100 % RH and -40..120 °C ( -40..248 °F ). The Device can be configured to display inside (saloon, cabin) or outside air temperature and humidity. This can be done easily with professional NMEA installer software from ActiSense or Maretron, or it can be done from any chart plotter using a smart sequence of switching of chart datum or magnetic variation setting (tested with Raymarine and Garmin chart plotters). Configuration of data instance is also supported. For example, "Inside Humidity" with data instance 0, 1, 2 can indicate humidity in the saloon, and the bow and aft cabins. Chart plotters with factory settings are usually able to show only one value with data instance 0, but manufacturers may supply dealers and professional installers with internal instruments to customize chart plotter screens. That allows installation of dozens of humidity sensors in a single network. The Humidity Sensor is designed for operation in an NMEA 2000 network and is compatible with a wide range of equipment supporting this protocol. Raymarine SeaTalk NG, Simrad SimNet, and Furuno CAN networks are branded versions of NMEA 2000 and differ only by connector type. 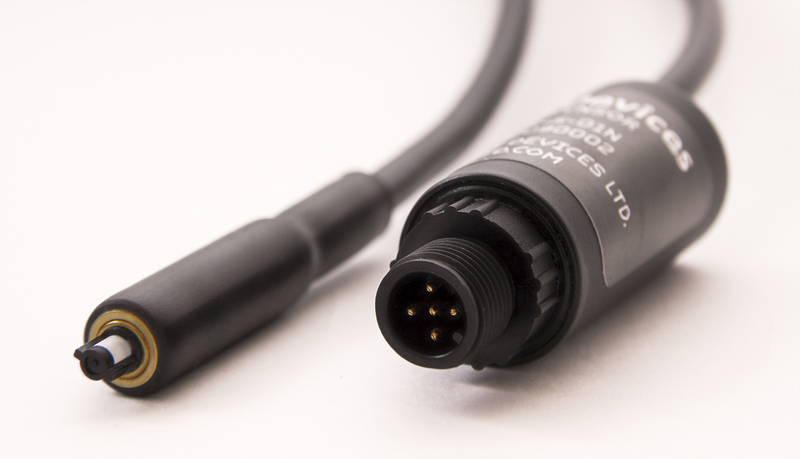 Garmin uses the NMEA 2000 Micro connector in its devices, which is compatible with the DeviceNet Micro connector. 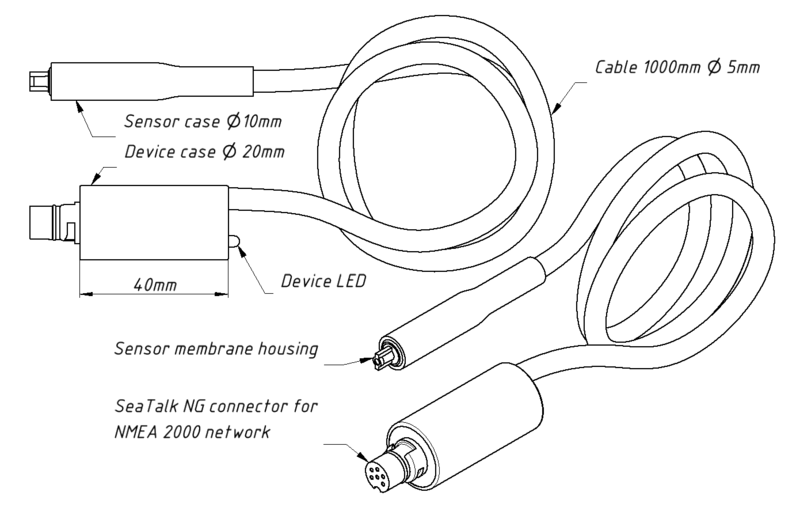 The Device is supplied with SeaTalk NG (see Picture 2) and NMEA 2000 Micro Male connectors (see Picture 1), making it possible to connect it to networks of different manufacturers without any adapters. The Device model is shown on the case. This product is certified by NMEA. For additional technical details, please see the User Guide and FAQ. Tarneaeg: Tarne 5 tööpäeva jooksul.